Aleppo, Syria. Dar al-Shifa hospital. FSA-Free Syrian Army. 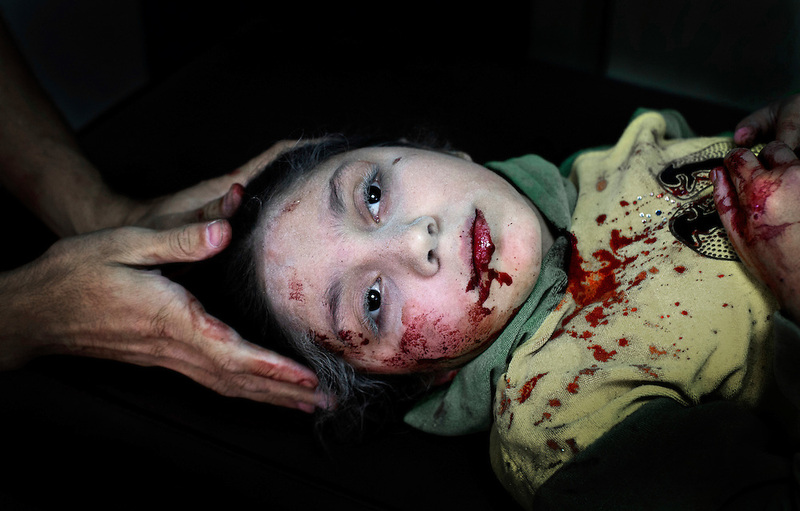 Dania Kilsi, 11, is treated for shrapnel wounds in Dar al-Shifa hospital in Aleppo. She and her two younger siblings, Zaid, 2 and Fatima 6, were playing outside their home when they got injured from a bomb.